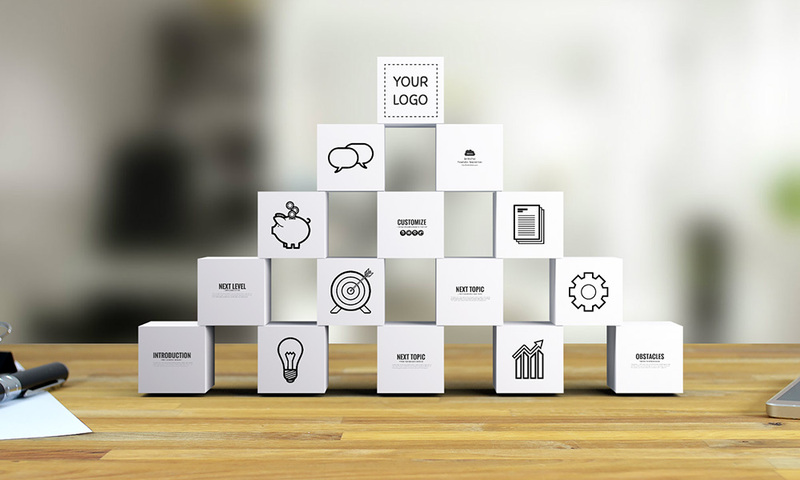 Prezi presentation template with white 3D squares as building blocks on a wooden table and office background. Illustrate the concept of building a successful project or business from differents blocks of content. Zoom around into each block, rearrange the icons or the blocks. Use the Prezi icons library to find suitable icons for your topic. Reach the top of the content pyramid and describe your desired achievement. Great template for a startup pitch, a project timeline, or presenting your idea or concept about a solution. This entry was posted in Best Prezi presentation templates and tagged 3-d, 3d, 3d business cubes, about, and, around, as, backgound, backgroud, background, backround, blocks, build a business, build a company, building blocks, business fountation, business modules, lego, lego blocks, make a business, make a business startup, modular, pillas of business, prezi template, prezi templates, pyramid, start a business, startup, startup pitch prezi, white cubes.